On a warm, dry, and windy day at the 2017 Zegama-Aizkorri Marathon in Basque Country, Spain, local Maite Maiora (pre-race and post-race interviews) scored her first win of a cherished-to-her race, and Norwegian Stian Angermund-Vik (pre-race and post-race interviews) stuck it in his first outing at Zegama in besting the men’s race. With good weather, dry course conditions, and solid strategical racing by both of them on their sides, Maiora and Angermund-Vik also came home with new course records. We’ll be updating this article with additional results as well as links to race-related articles, photo galleries, and race reports. Check back. Basque runner Aritz Egea was the men’s pacesetter in the early miles, including the short glory lap around town after the start before hitting the hills. This was not a surprise, as we’ve seen Egea go out at the front each year we’ve watched him race here. The guy looked like he was having a ball, though, smiling widely as fans cheered his name, high fiving people here and there, and lifting his hands into the air to garner more fan reaction. 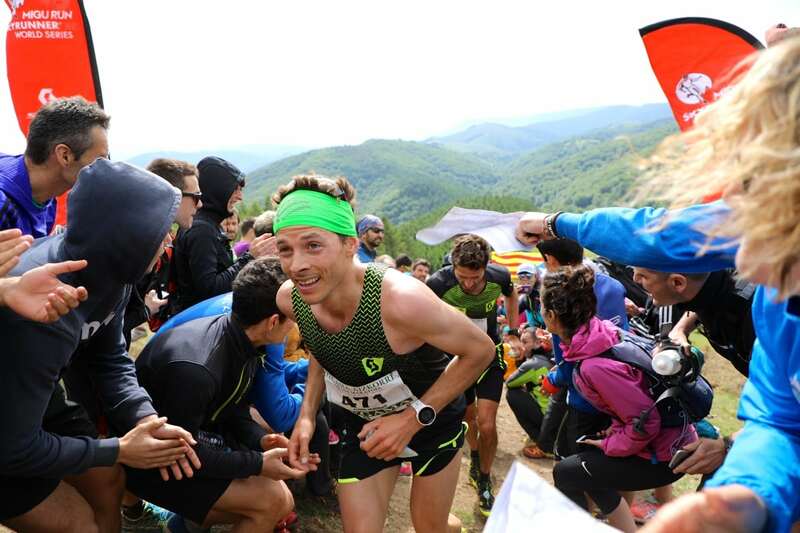 At Aratz, the first mountain summit 16 kilometers into the race, Egea led the lead trio of him, Japan’s Ruy Ueda, and Italy’s Marco De Gasperi. On the steep and technical downhill from Aratz to Sancti Spiritu, located at 20k, De Gasperi took over the lead, but Egea remained just moments behind. Sancti Spiritu is an incredible place–I know this is a report about the men’s race, but something just needs to be said about what it was like there. Located about 400 meters above the town of Zegama and in a difficult-to-reach location that requires driving up a one-lane mountain road and a steep hike from the road to the aid station, Sancti Spiritu hosts thousands of fans who make a human tunnel through which runners climb uphill toward the race’s second summit. Given this year’s warm and sunny weather, many more people came out to cheer than normal, and the tunnel of fans was narrower and longer and wilder than ever. The spirited scene of Sancti Spiritu is truly iconic in our sport of trail running. Norway’s Stian Angermund-Vik (pre-race and post-race interviews), who was fresh off a win of Friday’s Vertical Kilometer race and who earlier had passed through Aratz, 16k, in eighth place and three minutes off the lead, somehow looked fresher and more energetic than many of the other men at Sancti Spiritu, 20k. On the climb to the second mountain summit, Aizkorri before 24k–which actually leads onto a very technical ridgeline for a few kilometers before a wicked-steep downhill–he continued to move up in the field. By the time he came off that ridgeline, he’d overtaken the lead and had shaken loose of everyone in the men’s field besides De Gasperi. Finally, in the more runnable terrain to Urbia at 28k, he gapped De Gasperi by two minutes. At Andratz, the top of the final climb 30k in to the race, his lead was around three minutes, and he’d maintain that gap on the blazing-fast downhill from there to the marathon’s finish line in downtown Zegama, finishing in an official 3:45:08, well clear of Kilian Jornet’s 3:48:38 course record from 2014. De Gasperi, too, closed the race strongly. From Andratz, 30k, to the finish line, 42k, he gave back no more time to winner Angermund-Vik and he increased the gap between he and third-place Marc Lauenstein (pre-race interview), of Switzerland, from under two minutes to more than five minutes. De Gasperi’s official time of 3:48:20 was also inside the previous course best and five minutes faster than he’s ever run here. At the finish line, De Gasperi attributed his fast time to both feeling strong in the race’s second half as well as the day’s weather and course conditions. Third-place Lauenstein took what looked like a similarly conservative approach as winner Angermund-Vik, running the race’s first half in the back half of the men’s top 10. At Aratz, 16k, he summited the mountain in a train of five men running together in fifth to ninth place, which given that there was a really strong wind high on the mountain, looked like an smart strategy of working together and preserving energy. By Aizkorri before 24k, the top of the second mountain, Lauenstein moved into fifth position, and then up to third place by 28k. 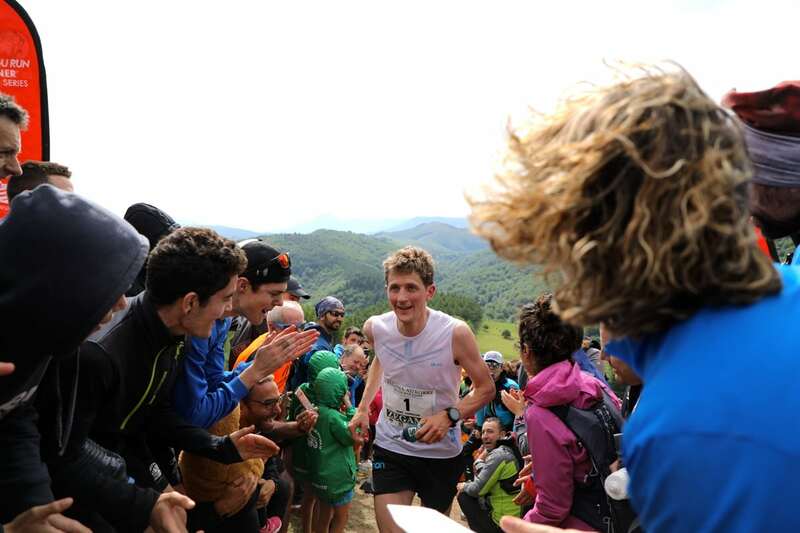 In the end, Egea would be the first Basque runner home in finishing fourth, and France’s Adrien Michaud, who ran consistently inside the men’s top 10 the whole race, rounded out the men’s top five. This year, the top-six men all finished inside of the revered four-hour barrier, which we would say is roughly average over recent years at the race. 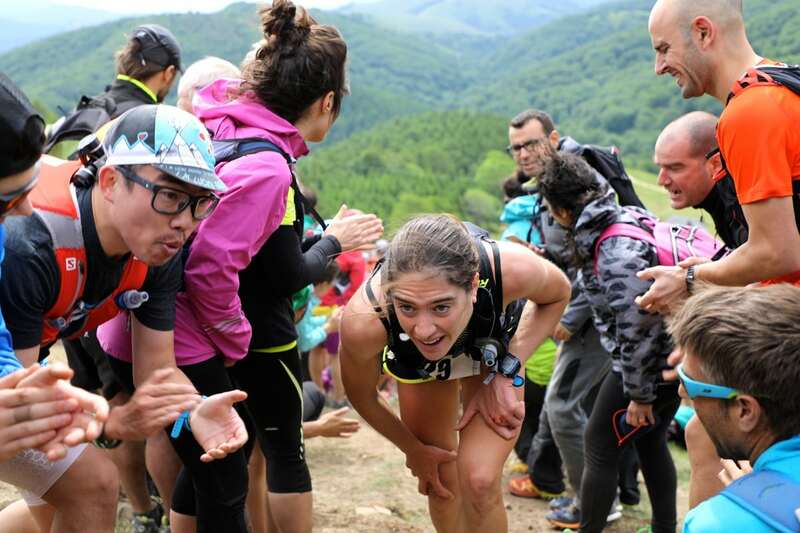 I admit that I didn’t know much about Italy’s Silvia Rampazzo ahead of this race, but apparently I should have because she absolutely rampaged Zegama, running hard from the start and setting the pace over much of the race’s first half. Sixteen kilometers into the race at the first mountain summit of Aratz, Rampazzo looked super comfortable off the front and in the very strong winds there. Again at Sancti Spiritu, 20k, and through the more-than-half-mile-long tunnel of fans, she pushed the hill, leaning into it, pressing down hard on her legs, and doing all that hard work with a smile. That said, behind Rampazzo for the race’s first half, there was a lurking Maite Maiora (pre-race and post-race interviews). At Aratz and Sancti Spiritu, Maiora ran in second place less than 30 seconds off the lead. Though she looked like she was physically working hard, there was also a sense of psychological peace in the expressions on her face. The wind of Aratz didn’t seem to bother her, and she climbed through the throngs of Basque fans screaming her name at Sancti Spiritu calmly and smoothly. Honestly, she looked great. 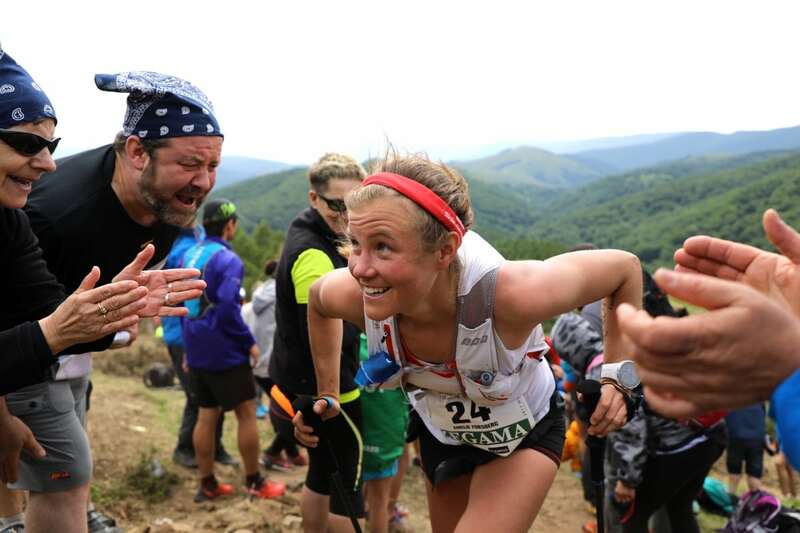 It was not a surprise, then, to see her top out on Aizkorri, the second mountain summit, with a 90-second lead. Maiora would say at the finish line that she thought Rampazzo was tiring on the climb to Aizkorri, but that she also said that she was mistaken in thinking so as, in reality, Rampazzo still had a lot of fight in her. In the runnable terrain around Urbia at 28k, Rampazzo reeled Maiora back in to within about 20 seconds. Maiora would later say that she had to find another gear to climb the final mountain to Andratz at 30k, so that she could gap Rampazzo again. At Andratz, Maiora had reestablished her 90-second lead and, then, increased it by another almost 90 seconds from there to the finish line. Maiora’s celebration at the finish was emotional. Tears, smiles, and something like 30 minutes of continual embraces with her family and friends followed her 4:34:27 finish, what amounts to a huge new course record, close to four minutes better than Emanuela Brizio’s longstanding 4:38:19 record from 2009. Rampazzo’s performance was one of all-day strength. She crossed the line in downtown Zegama looking tired, relieved, but still so strong. Her 4:37:17 finish was also inside the previous course record. At the finish, she would say that she was only wanting to finish the race, and not expecting to win. Last year’s terrible weather forced her to drop from the race, and she wanted to avenge her DNF. Not only did she avenge 2016, but in the process she ran the second-fastest-ever time in the race’s long history. The third-place finish of Spain’s Sheila Avilés was another surprise for us–we didn’t even put her in our extensively researched preview, and no readers marked her as one to watch, either. 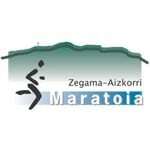 We learned at the finish line, too, that Zegama was Avilés’s first marathon-distance race! Well, she picked a difficult one to start with, didn’t she? It seems that Avilés has been racing sky races for a couple seasons with success in both Spain and Italy. If Maiora and Rampazzo were the aggressors pushing the pace at the front in the women’s race, then Avilés was the more conservatively paced runner. At Aratz and Sancti Spiritu, she was in sixth and fifth places, respectively, and she would continue to move up in positions until reaching her ultimate finishing place by Urbia at 28k. Avilés had a really strong final 14k, all the more impressive given that it was her first marathon. 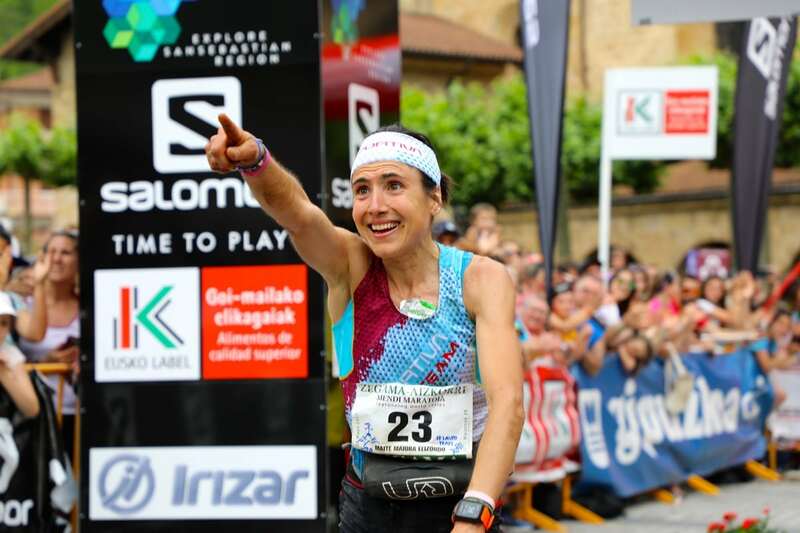 At Urbia, she was eight minutes behind winner Maiora, and then nine minutes back at the finish line–she closed the race at almost the same pace as the women’s champ. Even more evidence to her well-metered effort, in that same distance, she shook loose from several other women who were still within seconds to finish third and with no other women in sight for some four minutes. Basque runner Oihana Azkorbebeitia, who ran much of the race in the back half of the women’s top 10, would move up to finish fourth place, and France’s Celia Chiron finished fifth, a position she ran in for much of the race. Just as the four-hour barrier is well respected in the men’s race, so is the five-hour barrier for the women. This year, 11 women finished inside five hours, many more than what is the average. What a competitive women’s race! Thank you to Mauri Pagliacci and Gusti Andino for their coverage help! 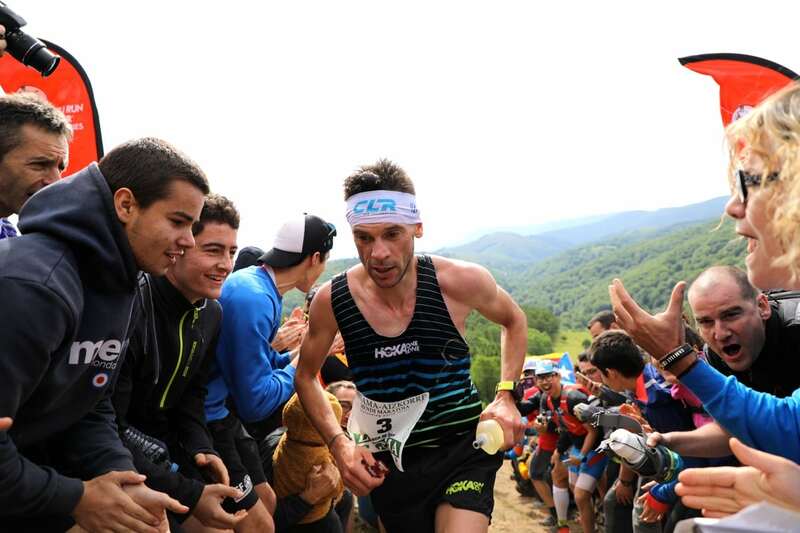 i thought i saw zach miller’s pic at zegama.he is not racing? 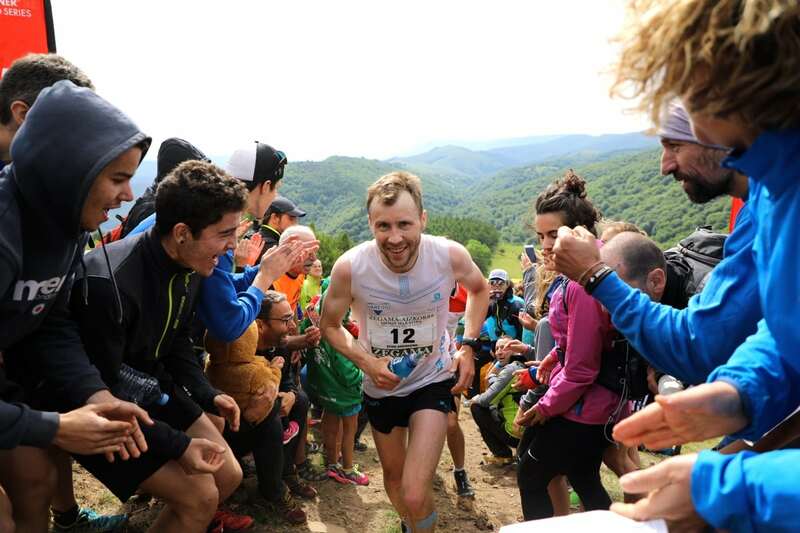 Zach Miller raced the vertical kilometer here at Zegama on Friday, and then cheered and crewed his Buff teammates during the marathon on Sunday. Just curious. Kilian may have accomplished one of the, if not THE, greatest mountain running feat in modern history. and you have most of your coverage on Zegama. This is no hack to Zegama or Magda, or whatever you decide to put on your website. I am just left clueless as to why you would not be following and promoting this epic and courageous feat? I imagine there is an explanation of some kind. I guess there will be a story here too but it takes time to get good info and pictures from Killian and his crew because they are still somewhere in the Everest area. We’ll publish our ‘This Week in Running’ column tomorrow, a day later than usual due to Monday’s U.S. holiday and the fact that some races take place today. 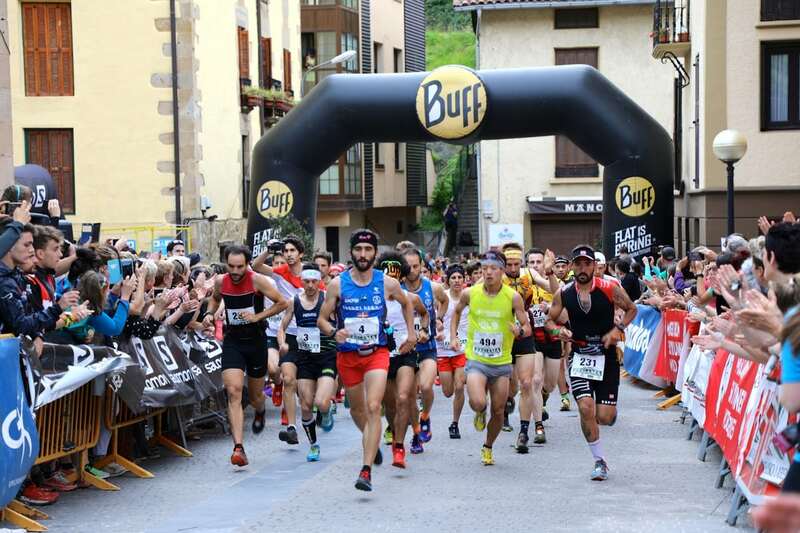 Kilian Jornet’s feats will be briefly reported on there. His first Everest summit was noted in last Monday’s TWIR column as well. Also, we put some briefs about his outings on our social-media platforms. As for the main body of content on iRunFar, Kilian’s efforts on Everest are largely big-mountain mountaineering efforts and beyond the scope of the sport in which iRunFar focuses its first-hand storytelling efforts, trail and ultrarunning. Also, unless it’s in our ‘This Week in Running’ column where we report second hand and as best as we can on events and happenings that we don’t personally witness, we generally publish only unique materials that we research and develop on our own. Would we love to interview Kilian the next time we see him about his experience on Everest as it applies to his contextual experiences with our sport? Sure thing! Are we personally happy for him? Oh yeah! But is what he’s doing a bit beyond the scope of what iRunFar covers first-hand? Yeah. I hope this helps to answer your question. I appreciate the feedback and I find your explanation interesting, considering I have always found IRUNFAR an appreciation of all things which delve into mountain running, which I would consider mountaineering a close cousin. I completely understand the idea of first hand storytelling, running, etc. The way I see it, all of these things, Zegma, UTMB, 100 mile attempts, and Killian’s attempts at Everest and other peaks as related to exploring the unknown. His summits of my life project are about as close to mountain running as the Barkley marathon is to true mountain running, not so much as it applies to running, but as it applies to fortitude, courage and confronting our limits. I was not expecting a first hand account, but more of some form of correspondence. As it goes, its all good. The funning thing, is to put it next to zegama (an annual race) or western states, or some other event in TWIR, I do not see as similar or even appropriate, especially considering that FKT is the new thing, and going up Everest without O2 and in the time he did is kind of a big deal. But like I say, its all good. Im stoked for Killian and I have no doubt you will explore this as you see appropriate. All the best.